Web 2.0, Google docs, Google Earth, Picasa, Flickr, WordPress, del.icio.us . . .
Google docs folders makes this open source service even more research-friendly. 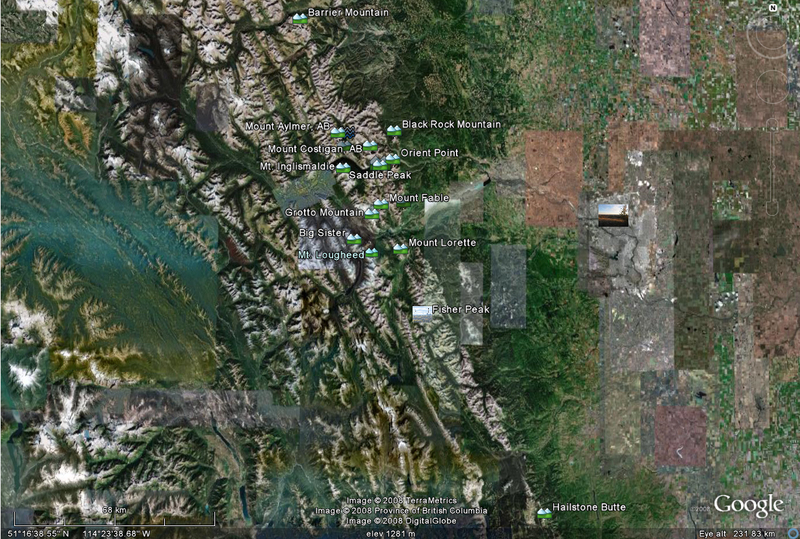 Picasa’s geotagging feature really enhances this freeware as does its seamless viewing of .jpg and .mwv files. Speechless stats show that the blog has reached 19, 161 viewers. I am particularly pleased that viewers have used Google translate for easier access. In the mythopoetic language of the aria Nessun Dorma from the Italian opera Turandot by Giacomo Puccini’s (1858-1924) the nameless prince seeks to enrapture the cold-hearted judge. Lew (1997) described the opera’s “underlying theme of the law: La legge è questa” which is “almost like a magic spell.” The Unknown Prince enters the contest and wins. But he wants something more authentic in his relationship with the princess than simply solving her riddles. The aria Nessun Dorma refers to a sleepless night through which his judge, the vinegar-souled princess, seeks to deprive the prince of his prize. He sings of a secret hidden within him, of dissolving the silence and finally of conquest. See Lew (1997). Knox described how the Idol judge vinegar-souled Simon Cowell could not help smiling as he listened to Paul Potts’ rendition of Nessun Dorma. His smile broke his face in half. The story of Paul Potts sharply contrasts with that of Joshua Bell, one of the world’s greatest violinists, who played his multimillion-dollar Stradivarius for spare change, incognito, outside a bustling Metro stop in Washington in a social science experiment. Commuters hurried by and only a rare few stopped to listen and were enraptured including one mesmerized very young child who tugged at his mother’s hand as she rushed to her next appointment (Weingarten 2007). If Paul Potts had chosen to sing Nessun Dorma in that Metro stop in Washington in April 2007 would he have melted the hearts of vinegar-souled passersby? One thing is for sure, from now on, thanks to a combination of the popularity of Idol-style shows, Youtube and email if Potts were to sing for busy commuters he, unlike Joshua Bell would not go unnoticed. Flynn-Burhoe, Maureen. 2007. “Pearls before Breakfast: Story Dugg by papergirls.” >> papergirls. Uploaded May 16, 2007. Knox, Jack. 2007. “Internet’s Idol’s Story Gives Hope to Us All.” Victoria, British Columbia: Times Colonist Sunday Edition. June 24, 2007. p. A3. Lew, Mark D. 1997. “Turandot: Commentary on Symbolism, Poetry, and Nessun Dorma.” Last Updated September 29, 1999. Accessed June 24, 2007. Weingarten, Gene. 2007. “Pearls Before Breakfast: Can one of the nation’s great musicians cut through the fog of a D.C. rush hour?” Washington Post. April 8. Page W10.